Shopping for Bloodborne Action Figures? 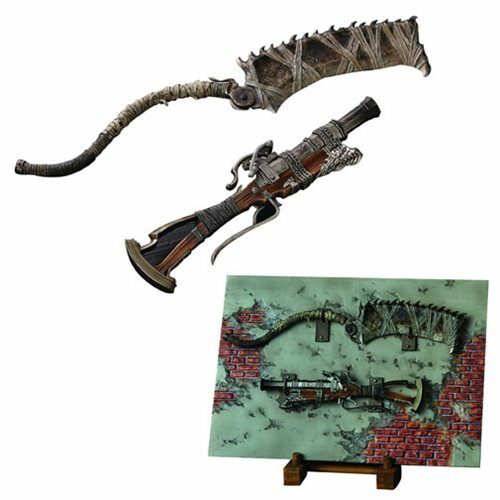 The Hunter's Arsenal series is a 1:6 scale weapons collection wielded by the player character, Hunter, in the mega hit action RPG for PlayStation 4, Bloodborne,. The Saw Cleaver, along with the Blunderbuss, are the flagship weapons of Bloodborne, and are wielded by the Hunter in the game's box art! Now you can collect 1:6 scale articulated replicas of your Hunter's weapons for display with any 1: scale figure!